Enter safe mode: Turn off the computer and switched on again. Then press F8 button continuously which displays Advanced Boot Options menu. Select Safe Mode with Networking and click Enter. While doing this, ensure that your PC is disconnected from the Internet. Real-Time Scanner – This type of scanner scans the system while you are still working on the computer. On-Demand Scanner – The system scan is processed manually only when there is a need. An on-demand scanner has to be implemented first with which you can perform the manual scan and following that the real-time scanning should be done to ensure effective scanning. This is to ensure complete scanning process, if one scanning process miss out in identifying the malware the other one would definitely identify it. Once the scan has identified and deleted the viruses, there is a need to recover the corrupted files. Users can reinstall the programs that was corrupted by the viruses. It is always recommended to backup files so that there is an option to retrieve the files in times of crisis. 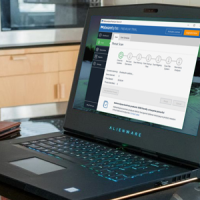 Update your protection software: It is not just enough to install with the antivirus software but it is also important to update your protection software regularly. This is because the software vendors release new patches with bug fixes or any other security update. Beware of opening suspicious emails from email addresses that you find suspicious. Anti-spyware and antivirus software are used to identify and eliminate viruses and other suspicious files from the computer. It becomes more efficient when both anti-spyware and anti-virus program are incorporated together. Choose the right antivirus software and install on your system. Ensure to run Antivirus software in the background and set it to automatically update at regular intervals to get the best possible protection against viruses. Comodo Endpoint Protection from Comodo delivers unique protection for endpoints in a network when it is connected and accessed from remote or wireless devices. It delivers a 7 layer Endpoint Security Platform that features Containment with auto-sandboxing, Web URL Filtering, Comodo Firewall, Antivirus, File Lookup services, Host Intrusion Prevention, and Behaviour Analysis to deliver 360 degree protection under a single roof to provide protection for businesses – small or big, irrespective of the sizes from both known and unknown threats. In the online world, cybersecurity refers to the protection of Internet-connected systems. The security covers cybersecurity and physical security – hardware, software, and data, from cyber attacks. Endpoint security and Endpoint protection are often used terms in the cybersecurity world because of the fact, it protects enterprises against unapproved access to data centers and other computerized systems. Information security is a subset of cybersecurity, it was designed to maintain the confidentiality, integrity, and availability of data. Basically, the role of cybersecurity is to ensure the protection of information and systems from major cyber threats! It is a challenging task for IT personnel to keep up the pace with evolving / new technologies, threat intelligence, and security trends. At all costs, the data and other things supporting the information of the organization has to be protected. 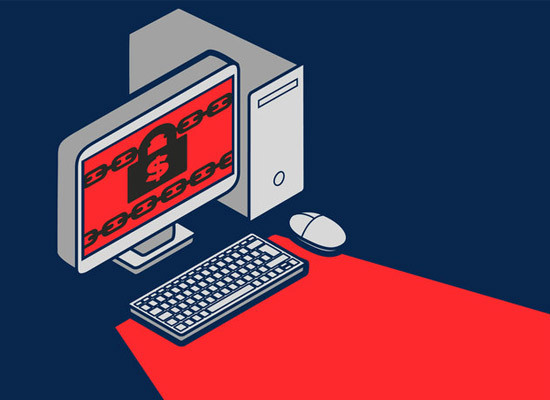 The threats come in many forms namely Ransomware, Malware, Social engineering, and Phishing. 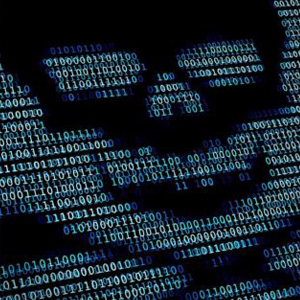 Sadly, cybercriminals have enhanced themselves to launch automated and sophisticated attacks over the years and the tactics that they use imply lower costs. On the other hand, keeping pace with cybersecurity strategy and operations can be a daunting task for many. What is Endpoint Security of Endpoint Protection? Èndpoint security or Endpoint protection prevents the potential entry point for those threats. The devices that are controlled and maintained in the security process include smartphones, laptops, tablets. Online criminals make use of these devices to attack an organization’s network with malicious software which could help them steal data from the network systems. In the present time, the threat is even greater as organizations all over the world are switching over to BYOD (Bring Your Own Device). As a matter of fact, it is noticed that mobile-based threats are increasing in recent times. 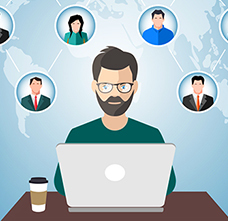 Employees make use of their home computers to accomplish their official tasks and in the process, we see organizational networks connecting with new devices. Endpoint security gains significance since it supplements centralized security solutions with additional security endpoint protection and prevents threats to secure the network. Thereby, it is the matter of grave importance to strengthening centralized security solutions with added security endpoint protection, it protects threats to secure the network. One of the parameters that meet security standards is requesting network access before connecting, this approach prevents threats to a great extent. Comodo Endpoint Security Manager implements unified management of Comodo’s 7-layered security suite that is capable of proactively protecting endpoints and their applications against advanced threats and malware. For more details visit our official page! A computer vulnerability is a cybersecurity term that refers to a defect in a system that can leave it open to attack. This vulnerability could also refer to any type of weakness present in a computer itself, in a set of procedures, or in anything that allows information security to be exposed to a threat. It is possible for network personnel and computer users to protect computers from vulnerabilities by regularly updating software security patches. These patches are capable of solving flaws or security holes found in the initial release. Network personnel and computer users should also stay informed about current vulnerabilities in the software they use and look out for ways to protect against them. Computer system vulnerabilities exist because programmers fail to fully understand the inner programs. While designing and programming, programmers don’t really take into account all aspects of computer systems and this, in turn, causes computer system vulnerability. Some programmers program in an unsafe and incorrect way, which worsen computer system vulnerability. The harm of computer system vulnerability can be presented in several aspects, for example, the disclosure of confidential data, and widespread of Internet virus and hacker intrusion, which can cause great harm to enterprises and individual users by bringing about major economic loss. With the steady improvement of the degree of information, very severe computer system vulnerabilities can become a threat to national security in the aspects of economy, politics, and military. Computer security vulnerability can harm five kinds of system securities that include: Reliability, confidentiality, entirety, usability, and undeniableness. Reliability: This refers to reducing incorrect false alarm in the operation of a computer system and enhancing the efficiency of a computer system. Confidentiality: This refers to protecting users’ information from disclosure and getting by unauthorized third party. Entirety: This system security requires that information or programs should not be forged, tampered, deleted or inserted deliberately in the process of storing, operation and communication. In other words, information or programs cannot be lost or destroyed. Usability: This ensures that users can enjoy the services offered by computers and information networks. Undeniableness: This security refers to guaranteeing information actors to be responsible for their behavior. Endpoint Security also known as Endpoint Protection is a centralized approach that focuses on protecting all endpoints – desktops, laptops, servers, smartphones, and several other IoT devices – connected to the corporate IT network from cyber threats. This methodology enables effective, efficient, and easier security management. Some vendors offer Endpoint Security systems that include firewall, antivirus, and other high defined security software. Comodo Advanced Endpoint Protection software provides 7 layers of defense – antivirus, firewall, web URL filtering, host intrusion prevention, auto-sandbox (containment), file reputation and viruscope (behavioral analysis). 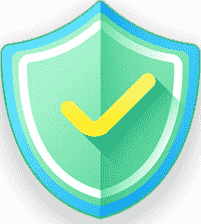 Antivirus: Features multiple technology-based automatic detection, cleansing and quarantining of suspicious files to remove viruses and malware. Comodo Firewall: Offers high-level security against outbound and inbound threats, manages network connections, and blocks personal data transmission by malicious software. Web URL Filtering: Advanced interface to create rules as needed – user-specific, sweeping, or as granular as desired. Host Intrusion Protection System (HIPS): Monitors vital operating system activities to guarantee protection against malware intrusion. Containment with auto-sandboxing: All unrecognized applications and processes are auto-sandboxed to run in a restricted environment. File Lookup Services (FLS): Cloud-based instant analysis of strange files that checks file reputation against Comodo’s master whitelist and blacklists. Viruscope (Behavior Analysis): Behavior of all processes are monitored for potential harmful action. The proliferation of technology in the recent times have been the reason for the evolution of hacks, scams, malware and more and it makes us feel that the Internet is a dangerous place these days. Create Complex Passwords: You must be hearing the same over and over again and yes it’s important to do it right away. Complex passwords are a key to online safety and there are some users who do not understand the importance of creating complex passwords. The internet is loaded with prying hackers around waiting for opportunities to impose attacks to gain monetary benefits. Their first attempt to gain access to a victim’s system is by cracking passwords. If they find it right, they are successful in their hacking attempt. So, set complex passwords with a combination of numbers, lowercase and uppercase letters and special characters. Avoid using the same password across all the accounts. Keep your computers and mobile devices up to date: The trend is here, we carry our own device everyday – we store our contact numbers, photos, videos, are personal conversations, sometimes we save our passwords and login credentials in our phones. Life is made easy with smartphones, laptops and PCs – however, there are risks associated with these devices too. We have to implement the all possible preventive measures to stay secure from these notorious hackers. Keeping your devices up-to-date with the latest security update on all the associated software, web browser, operating system, etc would help you stay away and ahead of malware and other online threats. Automate the updates, to ensure instant security fixes as soon as they are made available by the software vendor. Beware of phishing scams: We live in a digitalized world and all our communications are done through emails. We get advertisements on running and upcoming new offers, we get our account statements from banks, job offers from various job portals and what not. However, not all the emails that come into your inbox are genuine. It is vital to filter out spam emails coz opening one can bring about a massive security breach to you or your organization. Phishing scammers send scam mails that look exactly like genuine emails to trick users to click on the link or attachments that would certainly redirect users to a malware-laden website which can trick the users to share all the private login credentials and all that is required to cause an online data theft. So, do not fall for deals and offers that looks too good to believe, if you are not sure of the source of email and you find it suspicious refrain from opening such emails and links and attachments pertaining to it. Safeguard your personal Information: make the most of the privacy settings available across all the social media forums. Stay away from strangers and do not stay connected to people whom you do not know. Remember, personal information is to be kept personal. Do not use public Hotspots: When you are travelling, and you must check emails and do some business conversation online, stay connected through VPN and do not connect your devices to free public hotspots. These free public hotspots do not encrypt the communications and hence all the transactions done through public hotspots are made available to any hackers who can gain access to any of the personal or confidential business information. Use a Security Software: Ensure you are armed with an effective security suite to protect your digital space. There are a lot of security products available, however, choosing the right security software is a key to staying safe from online threats. Comodo Endpoint Protection provides a 360-degree protection to all the endpoints like computers, servers, laptops, smartphones and other IoT devices connected to the business network from all the online threats. It combines antivirus, firewall, and other sophisticated security methods like containment technology, threat analysis and Host Intrusion Prevention methods which makes it challenging for hackers to enter your digital space and helps you staying safe from online threats. With the growing emphasis on enterprise-level digital transformation revolution, your enterprise’s potential digital transformation is likely to experience serious issues if you fail to get a handle on your enterprise’s endpoint security. You need to know where your endpoints are truly unsecured besides having the right strategies to fix deficiencies. Regulate your enterprise’s BYOD culture: The bring-your-own-devices (BYOD) culture in enterprises allows employees to use their own mobile devices and laptops. In your digital transformation, make sure that you know exactly which devices are connecting to your network. As part of their onboarding process, ask employees to register their devices with your security team. If a new device has to be registered, make sure that all employees know the process to register their devices, and also prevent them from accessing the network with an unregistered device. Close unregulated access: Your perimeter will have to be secured against orphaned accounts and improper accounts as well as cryptojacking malware and ransomware. Resolve your culture problems: Demonstrate your new endpoint protection policies to your employees via regular high-quality training initiatives. Make them understand the changes in your endpoint security due to your digital transformation, including the safety protocols they will need to follow. Do not ignore patches and updates: All your endpoints (mobile devices, laptops, etc.) need continual security updates for both their software and firm. These updates play a vital role in your digital transformation and endpoint security. Besides protecting users from new malicious threats on the web or cloud, these updates also improve devices’ threat intelligence, permitting them to stay alert to current cyber attacks. 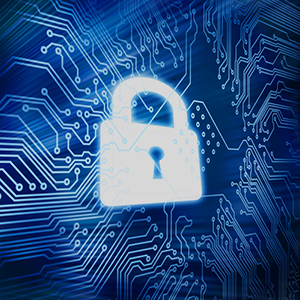 What are the Main Challenges to Enterprise Endpoint Security Today? Endpoint security is a security approach that concentrates on locking down endpoints, like individual computers, tablets, phones, and several other network-enabled devices, in order to keep networks safe. In many ways, endpoint security is the direct descendent of the first forms of computer protection in the earliest days of IT. But it is a rapidly developing category, as organizations focus on coordinating control of the PCs, phones and servers on their networks to keep out intruders and malware. In this present digital age, enterprises are constantly haunted by a wide range of attacks that aim at their data security and integrity. Enterprises must treat security to be an extremely crucial task and they should opt for an endpoint protection service provider capable of providing advanced security protocols and features. One of the biggest challenges presently experienced by enterprises refers to the potential of endpoint security solutions to guarantee a solid security posture in all types of environments in which it gets deployed in, whether virtual or physical endpoint. Conventional security solutions frequently deploy the same full-fledged security agent within virtual environments just as they do on physical endpoints. This can indeed result in major performance issues, causing more problems than they fix. The challenge here is to discover a security solution that allows organizations to completely embrace the power of virtualization and cloud, without compromising security. 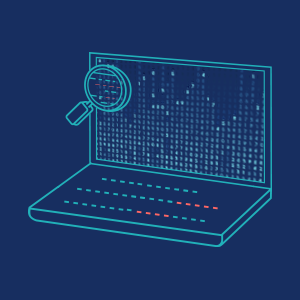 Increased threat sophistication and attack vector diversification refer to the fact that organizations will also have to focus on visibility inside their infrastructure, and not just security, as it can help them detect potential signs of a data breach even before it occurs. On the whole, endpoint security will have to be augmented by automated endpoint detection and response tools that not just identifies unknown or known malware, but automatically executes triage on security alerts. This allows overburdened security and IT teams to just focus on the most important security warnings. It is possible to easily apply security automation to different areas of enterprise security. However, endpoints are the most targeted by cybercriminals, and this is the reason why organizations should start there when aiming to enhance security posture. Organizations that focus on protecting their endpoints must break the attack kill chain before the attacker achieves his objectives. This deals with deploying a number of defense layers that can anticipate, prevent, identify and respond, investigate, and also remediate any security issues found. What is Endpoint Protection Gartner? 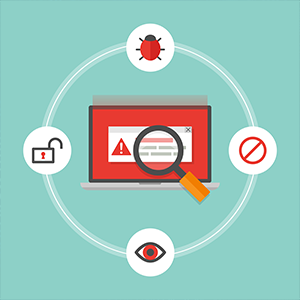 Endpoint Security and Endpoint Protection are the latest buzz words in the corporate world. The process by which endpoints connecting on a corporate network are secured and managed is called Endpoint Protection. Endpoints refer to laptops, tablets, mobile phones, and other wireless devices. Gartner Inc. included Comodo’s Advanced Endpoint Protection (AEP) solution to its Endpoint Protection Platform (EPP) Magic Quadrant. Gartner Inc. included Comodo’s Advanced Endpoint Protection (AEP) solution to its Endpoint Protection Platform (EPP) Magic Quadrant. Comodo is a leading developer of cybersecurity solutions such as Virus removal software, POS security program, endpoint security software and the world’s leading certificate authority (CA). Comodo’s Advanced Endpoint Protection solution delivers the default-deny security posture into a practical reality. While no one can completely stop unknown malware zero-day threats from entering a network, Comodo AEP can prevent even unknown risks from causing any damage. Comodo: Comodo Advanced Endpoint Security software offers 7 layers of defense that include antivirus, firewall, web URL filtering, host intrusion prevention, auto-sandbox (containment), file reputation and viruscope (behavioral analysis). All these layers are together offered for customers of all sizes with the aim to protect them from both unknown and known threats. Comodo Advanced Endpoint Security also permits you to control and centrally manage security endpoint protection via the application of operational templates or policies. Bitdefender: Bitdefender’s very recent 2018 activities specify a serious preparation for the future. Recently, the vendor purchased RedSocks, a security analytics vendor, highlighting that they are preparing to face the future blurring lines between the different cybersecurity fields. Furthermore, Bitdefender updated its GravityZone Ultra solution to incorporate stronger EDR capabilities. Bitdefender was recognized as a Leader in the Forrester Wave for Endpoint Security Suites Report for Q2 2018. Carbon Black: Carbon Black has established itself to be one of the most prominent in both next-generation endpoint protection and threat research. Besides the addition of capabilities, like threat hunting, the company has also developed new partnerships in its Cb Connect network along with several other solution providers. Druva: Druva specializes in cloud security, backup and disaster recovery, and the digital cloud perimeter. Druva made its very first acquisition this year when it bought CloudRanger (an Amazon Web Services backup and disaster recovery company). This could highlight the need for incorporating backup into endpoint security. Druva’s distinct cloud perimeter security and research is expected to continue into 2019. Endgame: Endgame was recognized as a visionary in the Gartner Endpoint Protection Platform Magic Quadrant for 2018. At the beginning of this year, Endgame also made an announcement of the first macOS endpoint protection against unknown threats, a key step in the endpoint security solution market. LogMeIn: LogMeIn provides a comprehensive endpoint management and security solution indicative of the blurring lines between the traditional endpoint perimeter and identity security. 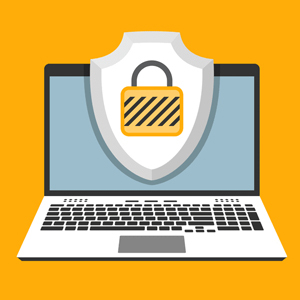 The LogMeIn Central solution security portfolio includes patch management, proactive alerts, anti-virus, computer health monitoring, and software inventory, thus providing a comprehensive package for enterprises struggling with visibility issues or perimeter security gaps. The Internet of Things (IoT) refers to any product, item, or gadget that can connect to a network or to the internet at large. Every new IoT device connecting to your enterprise becomes a new part of your digital perimeter, the very first point of entry for hackers wanting to steal your data or destroy your IT environment. Even when IoT devices become mass produced and more widely available, there a minimal number of manufacturers who are investing the resources or time to implement endpoint security into their products. Hence, a number of items come to the market and are purchased even before an individual realizes the security issues that come along with them. These are not just idle issues. Experts have proven that hackers could hold entire heating systems hostage through ransomware. Additionally, even when the manufacturers do implement firmware security into their devices, these are mostly weak and or produces security integration issues with legacy endpoint security solutions. Just plugging an IoT capable device into your network and then walking away is considered to be a rough equivalent of installing a new entryway into your home. When left on their own, these devices will not have access to the essential software and firmware updates necessary to their defenses. Furthermore, ignoring IoT devices generates visibility issues, as they become blindspots in your security perimeter. Hackers will be able to easily establish a foothold into your network without your security team even realizing it. Users and their endpoints are extensively considered to be the most vulnerable targets for cyber attacks. However, instead of assisting companies in proactively fortifying these at-risk targets and avoiding infection in the very first place, a number of the new solutions being offered encourage companies to agree to the fact that infection is bound to happen no matter what you do. Hence, the wiser investment, that line of thinking goes, is to concentrate on enhancing your potential to detect and respond to attacks after the fact. A next-gen endpoint security solution is the need of the hour because legacy endpoint security solutions, given their age, are just not equipped to manage the IoT in the same way they are not equipped to manage modern threats. Hence, only a truly next-gen endpoint security solution will possess the capabilities and the threat intelligence to provide visibility into IoT devices and protect them from external threats. These endpoint protection solutions will be able to create alerts for your IoT devices and implement machine learning in order to prevent your security team from becoming overworked.